Silver Spring, MD – Montgomery Planning Board Commissioner Natali Fani-González will serve a second four-year term on the Planning Board following a unanimous vote to approve her tenure by the Montgomery County Council on Thursday, May 24, 2018. Fani-González has served on the five-member Board since 2014. Over the past several years, she has won many awards for her public service, which includes engaging residents of all backgrounds to be active participants in planning and land use decisions. Since joining the Montgomery County Planning Board, Natali Fani-González has made significant contributions to the Board, Planning Department and Department of Parks. Her direct involvement with staff to engage diverse communities on several planning efforts, including the Montgomery Village Master Plan, Greater Lyttonsville Sector Plan, Veirs Mills Corridor Master Plan and Bicycle Master Plan has been invaluable. In April 2018, she participated in the national conference of the American Planning Association on a panel about public outreach for hard-to-reach audiences. 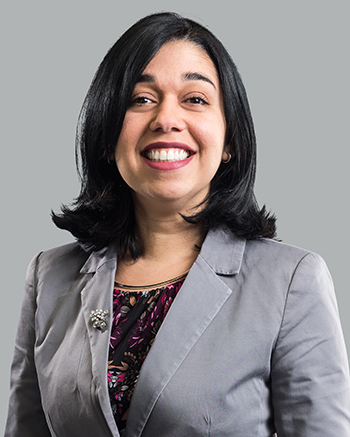 Natali Fani-González was first appointed as a Commissioner of The Maryland-National Capital Park and Planning Commission (M-NCPPC) and a member of the Montgomery County Planning Board in 2014. Natali is the first Latinaand first millennial to serve on the five-member Board, which reviews master plans and policies governing growth and development throughout Montgomery County. Born in Venezuela, Natali Fani-González is the founder and principal of the Rockville-based Matea Group, LLC, a dynamic public relations and translations firm that has worked on national and international issues. A human and civil rights activist and entrepreneur, she started her career as a lobbyist for CASA de Maryland, the largest Latino and immigrant organization in the state, and then joined the communications team of the Service Employee International Union Local 32BJ before starting her own public relations firm. For more than a decade, Natali has completed extensive advocacy and communications projects for a variety of public and private entities, including the State of Maryland Department of Health and Mental Hygiene, Reform Immigration for America, Amnesty International, Capital Area Food Network, MomsRising, CASA de Maryland, Virginia Consumer Voices for Healthcare, Iron Workers International Union and Service Employees International Union. She served as vice-chair of the transition team for Prince George’s County Executive Rushern Baker III. Natali is the recipient of several prestigious awards, including the 2015 Montgomery Women Rising Star Award, 2014 Citation of the Maryland General Assembly for Outstanding Contributions to the State of Maryland, 2013 Leading Women Award by The Daily Record and the Poder Con Ganas Award from the Latino Democratic Club of Montgomery County. In 2017, she was featured in Washingtonian magazine’s 40 Under 40 list of influential change-makers and named by the DC metro area’s largest Spanish language newspaper, El Tiempo Latino, as one of the 100 most influential individuals for the DC Hispanic community. Fani-González graduated from Goucher College with bachelor degrees in political science and international relations, and holds a National Security Certificate from Georgetown University. Natali lives with husband Angel Gonzalez, an electrical engineer and a former U.S. Marine, and their two children in Kensington, MD.